One of our goals this year is for our kids to learn more about each book of the Bible. We want them to have a basic, big picture understanding of every book, and to memorize the order of the books. Books of the Bible At-a-Glance from Teach Sunday School came at just the right time for us to use in pursuit of these goals. I received a PDF file that I could print. It’s 74 pages in length. At the beginning you’ll find an introduction, explaining the product and suggesting several ways to use it. Then comes the table of contents. After that, it gets to the heart of the product. 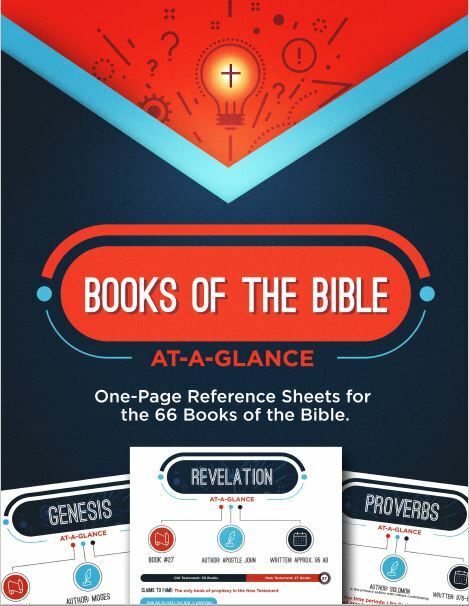 At the top of each page, you find the name of the book, along with where it fits into the rest of the Bible. So for the example above, Ecclesiastes is the 21st book in the Old Testament. It tells who wrote it, when it was thought to be published, and the theme of the book. Each page also shares some of the most famous (or recognized) verses from that book. It also lists some of the most recognized stories from that book of the Bible. The final section covers important points about the book. These might include some commentary, some background information, and some summarizing. Since this PDF uses lots of color, I didn’t want to print it out. We have only a black and white printer, but the big color bits do take a lot of ink. So, I just pulled up one a day on my computer and the kids and I talked about it, along with our studies of the book of the Bible we were learning about. One day we talked about Genesis, the next Exodus, and so on. Then you could have everyone create their own Books of the Bible notebook. You could insert a blank page after each summary, and have your student illustrate one key event from the book or add their own notes. You could scramble the cards and have your children put them back in order, helping to cement the order of the books in their minds. There are definitely lots of options, especially if you’re a creative thinker. There were some aspects of this product that I enjoyed. The sliding scale towards the top shows where this book is in relationship to the testament that it’s in. It was a nice visual for the kids – okay, this book is towards the middle of the Old Testament. This one is at the very beginning of the New Testament. Having this visual helped them find the book in their own Bibles more quickly. The authors did a nice job summarizing the books, and putting together some of the most recognized verses. Some of the knowledge is hard to know – like when a book was published. There’s a disclaimer in the introduction saying these dates are approximate. However, there is one key problem I have with this product. I have no idea what version(s) of the Bible they pulled their verses from. It’s not listed in the introduction or copyright section, and I couldn’t find a note elsewhere in the product. So I started searching, using the Bible translation comparison on Bible Hub. I thought at first it was the NIV, but some of the verses don’t match. Some verses align with the NLT, but not all of them. From my comparisons, it looks like several versions were used. This meant there isn’t consistency. These key verses are important verses that many people have memorized, or would like to memorize. They should all be listed from a single version, because that’s what people typically use in a home or church setting. Yes, you can do what we did and just look up each verse in your version of choice. But, there should be a record of which version the authors used, so people can cross-check on their own. This inconsistency may not be a big deal for you. But I didn’t like it. It wasn’t the only inconsistency. The font size changed throughout, and some of it was hard to read. I understand that some books have much more information to cover, but I’d have preferred the visual elements at the top to shrink instead of the text. And because of the inconsistencies, I have a hard time completely recommending this product. There are some great nuggets in there, and I like the overview format. But, it is not a product we will continue using. A family who is just looking for a quick overview, who isn’t concerned about diving into the books more or exploring the key concepts or verses might be a better fit. 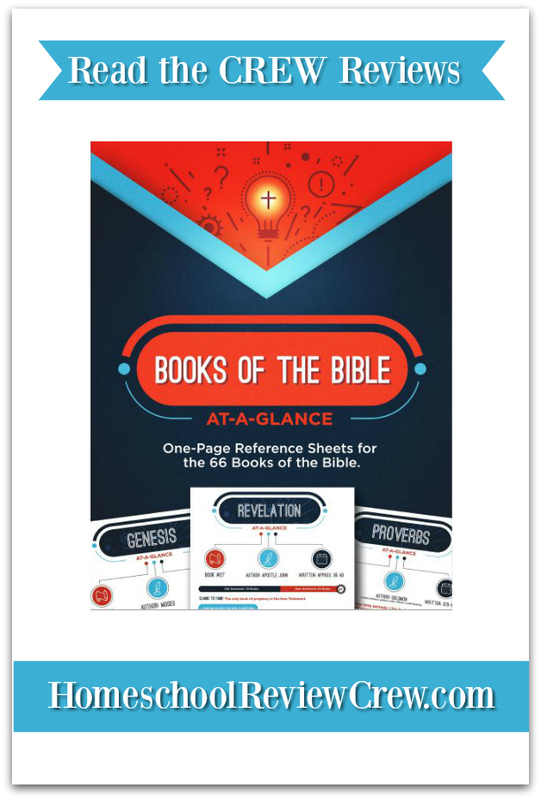 To see what other homeschool families thought of these Book-by-Book Bible Printables, click on the banner below.